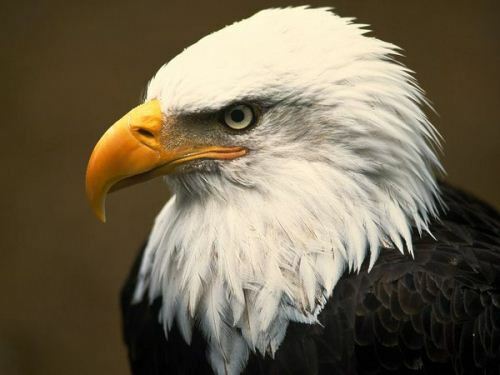 If you always fascinated with animals, look at the post about bald eagle facts. 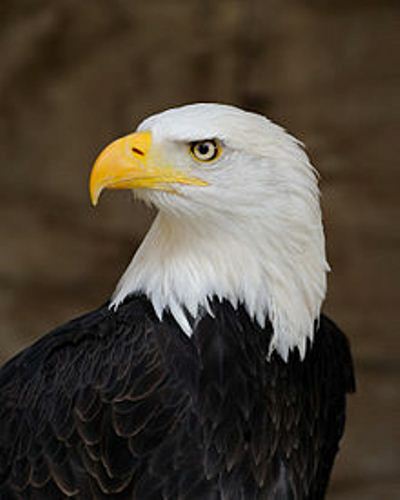 Bald eagle can be found in various regions such as North America. You can see them when visiting Florida, California, Alaska and Newfoundland. They like to live near the coastal area, lakes, and rivers. Here are more specific bald eagle facts to note. 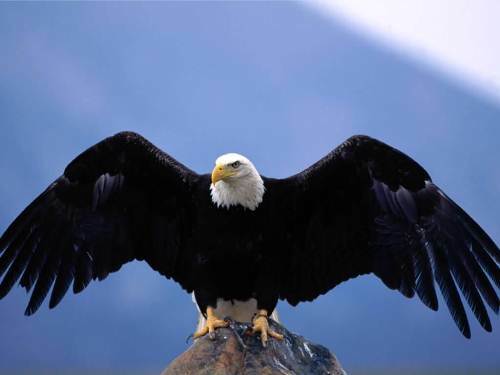 The weight of adult bald eagles is around 3.6 to 6.4 kg. The male bald eagles are smaller compared to the female bald eagles. The bald eagles living in captivity have the long life span up to 36 years. The wild bald eagles can only live around 28 years. The physical appearance of young bald eagles can be seen from the dark hear and tails. The baby bald eagles need assistance from the adults to survive. They will be dependent for about 5 years. 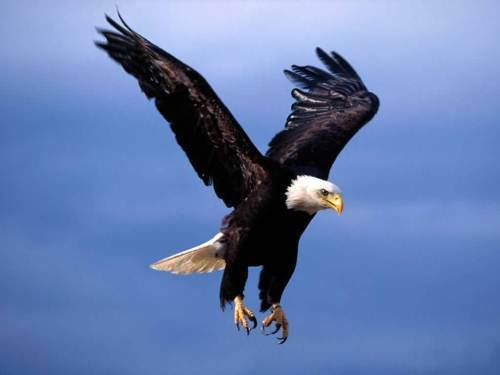 Bald eagles can fly powerfully on the sky. Normally they fly with the speed more than 56 kph. When they hunt for prey, they can fly faster up to 159 kph. The scientific name of bald eagle is Haliaeetus leucocephalus. The female and male bald eagles are characterized with a white head, yellow feet and bill, black brown breast, and black and white tail and neck. One of the popular species of bald eagles is juvenile bald eagles. The body color is a combination of white and brown. They only need five years to become a mature animal. 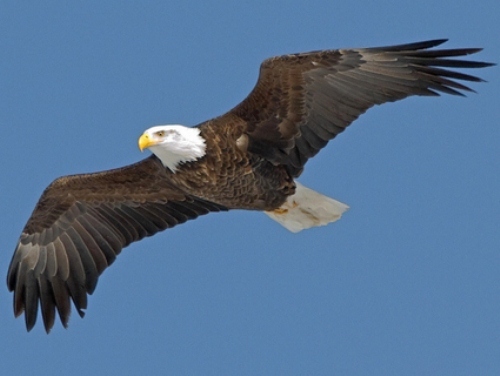 When bald eagles fly on the sky, they can open the wing up to 90 inches. The feather, talons, and beaks are composed from keratin. The bones are light. Most bald eagles are fitted with 7000 feathers. Bald eagles like to eat fish. But the will never refuse to eat the flesh, muskrats, birds, turtles, and ducks. In the food chain, this animal is one the top position. Probably they like to eat small birds like blue jay. Read blue jay facts for more info. The sexual maturity of bald eagles can reach five years old. When the female and male bald eagles are paired, they will last forever. The female bald eagles can lay 1 to 3 eggs. The incubation will last for 35 days. Both female and males bald eagles will be responsible to look after it. In this present day, there are 9,789 breeding pairs of bald eagles spreading around the world. Bald eagles have several closest relatives. Some of them include the white-tailed sea-eagle living in Eurasia and the African fish-eagle living in Sub-Saharan Africa. One thing for sure, it has nothing to do with burrowing owl. Are you interested to know the animal? Read the burrowing owl facts. Bald eagles are a good swimmer. They need to swim to catch the fish on the lake, river or ocean, but they will face hypothermia if the water is too cold. After you have read the facts about bald eagles, do you want to give more information?